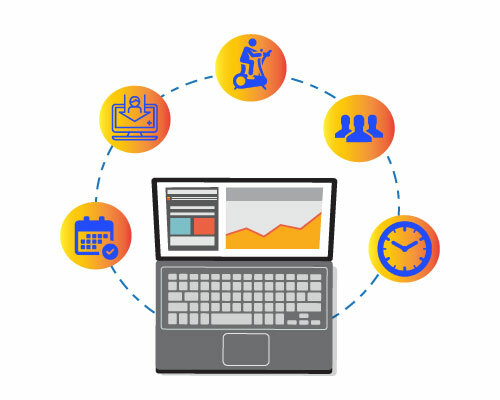 Our software is easy to use and provide complete information of machinery and coaches data is also saved. Other service provided by the gym can be handled by our system. The different reports of the management, gym module, calendar of event and notice can be easily viewed with single click of button. Complete details of registered member like, name, age, contact details etc. Important vital measurement can be added and also keep track of members physical statics. Different activity can be created and assigned to trainer which can be a part of designed membership for registered member.  Different workout regime or workout activity can be assigned to member and create schedule for same and this can be monitored easily with single click. Members attendance for assigned task can be viewed on daily basis. It is very important part of any business through this module all payment transaction can be monitored very easily. Payment invoice can be generated through system saving time. Notification can be sent to members through system informing about any event, membership renewal, pending payment etc. Complete reports related to attendance, membership status etc. and generated in form of charts trends for month on month business status. Activity class can be schedule and assigned the task to trainer with time and location. Prepare and assign the nutrition plan for members with validity range which will help to monitor and manage the nutrition for each day.